There are many retro hairstyles that have survived the decades and till now are popular and all of them are simply gorgeous. Both haircuts and up-dos place the highest rates in the list of modern hairstyles but there is A style that is the best at least for me. I am sure that you thought of the same style. Yes the answer is bob haircut. Since 50s bob hairstyle continues its glorious way up and I am sure that it will always be trendy. Every year retro bob has been upgraded with new details and every time hair gurus surprise us with their fantasy. I thought that there is nothing more to be created but when I looked through the pictures of 2013 bob hairstyles I simply forgot all words. I am sure that you have not once looked trough he pictures of vibrant hair colors and color combinations and you simple passed by and lived with dull hair color. But there will surely be brave women who will be ready to break the monotony and become the owner of the hottest hair color ever. I hope once you will also dare to kiss good bye to natural hair color and go glam with ultra-hot color combo. I want to devote this article to all those brave girls who have changed natural color and adopted bold hair highlighting. Multi tonal hair coloring is very popular nowadays. There are so many styles color combos as well as coloring techniques that you will never get bored experimenting with hair. I have not once introduced you different styles of hair highlights both subtle and bold but at this time I want to show you some steps and tricks on how to wear vibrant hair color because it is as important as coloring process itself. Icon of all teen girls Selena Gomez always shines with her flawless look be it red carpet event or any other occasion where she immediately captures everyone’s attention. She definitely knows all the secrets to play up her femininity and now she has revealed one of them. As the owner of beautiful long hair Selena wears it in numerous ways but the most popular is loose wavy hairstyle. Loose waves cascading down on shoulders, what else can make you look more feminine and cute? Selena Gomez very often wears wavy hairstyle be it glamorous massive wavy style or tousled funky design she looks jaw dropping. You can easily copy her image with the help of large rollers and hairspray. Become your own hair stylist and you will be able to adopt any celebrity image. There are many factors for attractive and flawless hairstyle like natural sheen, volume, smooth touch and so on but the most important thing that is more eye catching and obvious is hair sheen. No matter you have stylish and trendy haircut it won’t look smashing if hair is dull. Unfortunately because of many external factors like pollution, cheap styling products and tools as well as hair dying products that can not only make hair look dull but can easily damage it nowadays natural healthy and glossy hair is such a rare thing. So which is the best solution of this beauty dilemma? I have several ideas for you. One of them is quite simple and really cheap. I offer you to include natural ingredients and homemade masks in your hair care ritual. Nothing can provide your tresses with all necessary vitamins and minerals than natural products. Hot oil treatment is the best one that will provide hair with natural sheen and silky touch. Still those options should be done regularly and only then you will feel revitalizing effect of natural masks. If you want to have immediate result then you can use second option. I have not once turned to celebrities for a dose of inspiration because they always look flawless and elegant with her ultra-hot hairstyles, dazzling makeup and stylish outfit. At this time I have turned to beauty bunny Rachel Bilson’s inspiration. I always liked her beautiful ombre hair color and lose waves so I decided to recreate her image. There is nothing complicated about recreating Rachel Bilson’s image. For ombre hairstyle you should first bleach the edges and then color in golden blonde. In case you have natural blonde hair you can simply color the roots into brown. After you have colored hair you should learn how to get that loose effect of waves. The best way to style waves is large rollers. It is very important to choose large rollers otherwise curls will be too tight. In case you don’t have them you can use curling iron; just take thick strand and do not keep the iron too long. Once you have finished the styling process tousle hair with fingers and spritz hairspray. Your celebrity wavy hairstyle is ready. Are you the lover of alternative hairstyles? If so, new 2013 fall hair trends include numerous bold and really extravagant hairstyles that are meant to break the monotony and dull look of simple haircut. Alas, not everyone dares to wear such bold and nontraditional hairstyle and they only admire all the beauty of edgy hairstyles. Modern hair cutting technqiues give a chance to recreate even the boldest desire and all you have to do is to get ready for changes. Which is the easiest way to create nontraditional haircut? Layering is surely the answer. Again, new hair cutting tricks offer zillion designs like asymmetric, razorerd, choppy and etc. 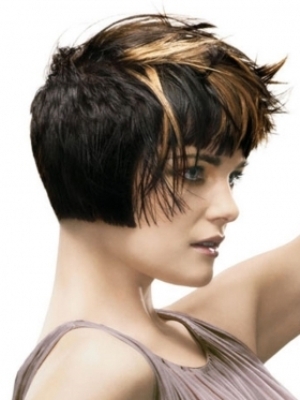 The hottest layered hairstyle that will complete your ultra-modern image is layered punk hairstyle. Actually punk design looks quite elegant until it is styled in a proper way. When it comes to styles of layering the best option is razoring. This special technique creates choppy layers that will look simply fantastic when styled with texturizer. Long gone are the days of monotony and simple styles. This is the era of great changes and you should stay on trend and never blend in the crowd. Do you like the idea of having the hottest haircut for coming fall? If so let’s find out some secrets from hair gurus. When it comes to modern haircuts hairdressers offer just one detail, layering. This is the only option to create haircut that can be changed without any difficulty. 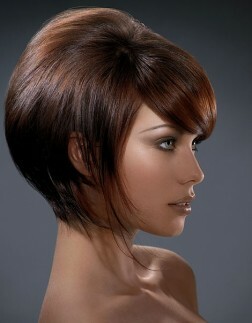 The great variety of layered hairstyles includes both long and short styles that are simply fantastic. In any case layering is very functional design and it will set you free from difficult styling steps. Well I have perfect option for you.